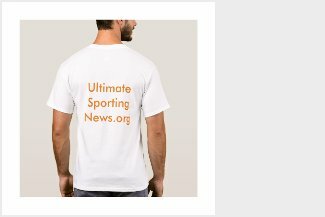 Brad Marchand, LW (NHL.com rank: 9) -- The Boston Bruins left wing had 85 points, tying his NHL career high from the previous season, despite being limited to 68 games. He scored 34 goals and had 51 assists, his third straight season with at least 34 goals. Marchand has been a plus-21 or better in six of his past eight seasons, and factors in on the power play (23 power-play points) and penalty kill (four shorthanded points). He's also had at least 63 penalty minutes in each of the past five seasons. If Marchand plays with discipline (suspended six times in NHL career), he is a category cog with a top five overall fantasy ceiling. 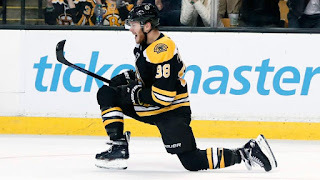 David Pastrnak, RW (10) -- The 22-year-old has increased his point total in each of the past two seasons, including an NHL career high 80 points (35 goals, 45 assists) last season. He was plus-10 with 37 PIMs, led the Bruins in PPP (26) and finished tied for 10th in the NHL with 13 power-play goals. Pastrnak, who finished among Stanley Cup Playoff leaders with 20 points (six goals, 14 assists) in 12 games, forms the NHL's most potent line with Marchand and center Patrice Bergeron. Fantasy owners can feasibly stack Pastrnak or Marchand with Bergeron in the first 3-4 rounds. Patrice Bergeron, C (27) -- The 33-year-old has been a consistent fantasy center for a decade and last season was no different. Bergeron had 63 points (30 goals, 33 assists), a plus-21 rating and 21 PPP (10 PPG). He's also an asset in fantasy leagues that count face-off wins (784) or face-off percentage (57.3). Bergeron missed 18 games last season but 17 combined games in the previous seven. Tuukka Rask, G (47) -- The 31-year-old went 3-8-2 with a 2.91 goals-against average and .899 save percentage in his first 13 games before turning his season around. Rask was 31-6-3 with a 2.19 GAA, .923 save percentage and three shutouts from Nov. 29 to the end of the regular season, tied with Connor Hellebuyck of the Winnipeg Jets for most wins in the NHL over that span. That included a 17-0-2 stretch with a 1.66 GAA and .940 SV% from Dec. 7 to Feb. 6. Rask enters the season as a top 10 fantasy goalie and is one of the safest bets to finish in that realm. Torey Krug, D (79) -- The 27-year-old offered excellent category coverage last season and led Bruins defensemen in goals (14), assists (45), points (59), PPP (24) and SOG (197). The only downside is his combined plus/minus the past three seasons (minus-1) because most of his production comes on the power play. Krug injured his ankle during the 2018 playoffs but is expected to be ready for training camp. He's a top 15 fantasy defenseman entering this season. Charlie McAvoy, D (100)** -- The 20-year-old had an impressive rookie season with 32 points (seven goals, 25 assists), a plus-20 rating and seven PPP in 63 games. McAvoy missed time with a knee injury and a heart condition, but could score 50 points if he remains healthy. McAvoy's PPP and SOG totals (77) would improve if he gets more first power-play usage. David Krejci, C (213) -- Considering he had 44 points (17 goals, 27 assists) in 64 games, including 13 PPP, Krejci could be a fantasy center bargain in later rounds. He has exposure to the second power-play unit with McAvoy, as well as talented second-line wings Jake DeBrusk and either Danton Heinen or Anders Bjork. Krejci had 10 points (three goals, seven assists) in 12 playoff games and should be valuable in fantasy if healthy. Zdeno Chara, D (246)* -- He may be 41, but he provided strong fantasy coverage yet again last season with 24 points (seven goals, 17 assists), a plus-22 rating, 60 PIMs and 144 SOG. Paired with McAvoy at even strength, Chara always makes for a serviceable depth defenseman late in fantasy drafts, even with a diminished power-play role.